The offered Quartz Lumps are highly used in production of various electrical products such as cell phones, computers, televisions, radios and many other appliances. Moreover, the offered Quartz Lumps is available in various packaging options to fulfill the varied needs of clients. Rajasthan Super Fillers Private Limited, Rajasthan, India becomes an affluent manufacturer, exporter and supplier of Quartz Lumps in Udaipur, Rajasthan, India. 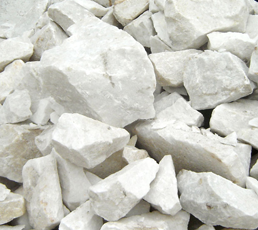 We are providing a premium quality range of Quartz Lumps. We graded lumps by quality. Furthermore we reblend the products according to specification, bagged and marked.